Stakeholders listen as a presentation is made at the recent Grenada FA media workshop. FIFA development manager for the Caribbean, Marlon Glean has commended the Grenada Football Association for its continuing efforts towards the development of the game both on and off the field of play. Following a successful appearance at the CONCACAF under 15 girls championship in which Grenada finished runners-up in its division, the Grenada FA hosted a three-day media and communication workshop at its headquarters in St George’s last weekend. 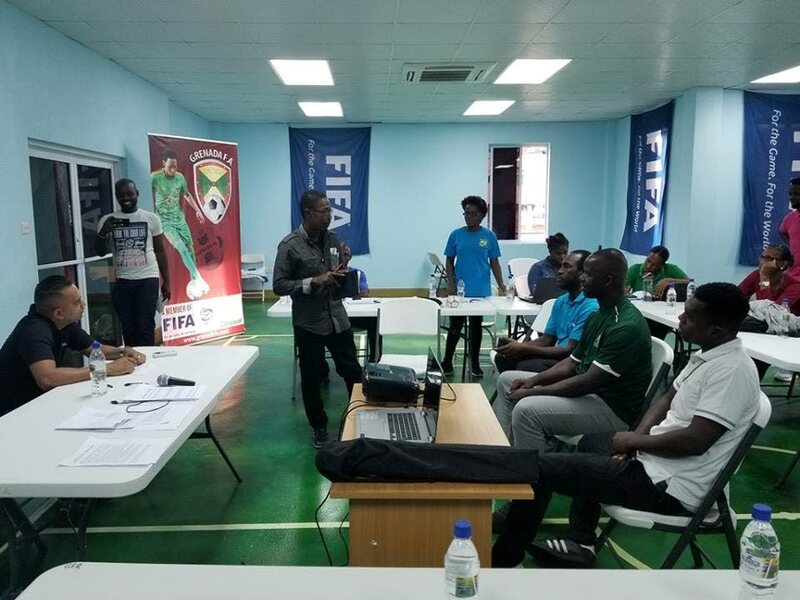 The facilitator for the course was Shaun Fuentes, a CONCACAF competitions media officer and three-time FIFA World Cup media officer who is attached to the Trinidad and Tobago Football Association (TTFA). Among the topics dealt with over the three days included crafting press releases, organising press conferences, event and game management promotions, social networking for football, social media management, developing a football website, promoting a losing team versus a popular winning team, effective press materials for event day, overcoming reputations, handling media for athletes and teams, getting athletes and officials exposure in the media and understanding the impact and role of media in sport, among other items. Practical sessions were also done in relation to an international fixture around the Jamaica versus Grenada friendly played at the Kirani James Stadium last Friday. “I would like to congratulate the Grenada Football Association, the media association and the participants for coming together in putting together such a needed workshop,” Glean said at the closing of the workshop. “This came about when the president (Gianni Infantino) came up to me and expressed the need to have something to ensure that there is more sports reporting and in particular more football reporting. I had the opportunity to witness first-hand the work Shaun has been doing in Trinidad and Tobago, in CONCACAF and also in FIFA so I immediately recommended that the GFA sought the services of Mr Fuentes,” Glean added. “We also have to give thanks to the Trinidad and Tobago Football Association who would have lent the services of Shaun so that he could be part of the workshop here. I think this is a great first step in terms of the participation and I hope this is just the beginning of more extensive football reporting in Grenada,” Glean said. Grenada FA president Cheney Joseph also spoke highly of the workshop, explaining that it was a necessary step for the GFA. “It is a partnership we are developing. We do not wish to put a dollar value to the amount of days that went into Shaun’s preparation and subsequent dissemination of information. It’s not just about promoting Grenada football but if the GFA can create opportunities for workshops for you to improve on your craft, then we will continue to do it. “Like Shaun, I started at 16 also in the media in sports. I hope that we can continue this partnership and I will propose something where the Grenada Media Association will have first hand access to all of our games and I want to suggest that we have Shaun back here for another workshop around the time of the Pure Grenada Cup which is our biggest event early next year,” Joseph said. 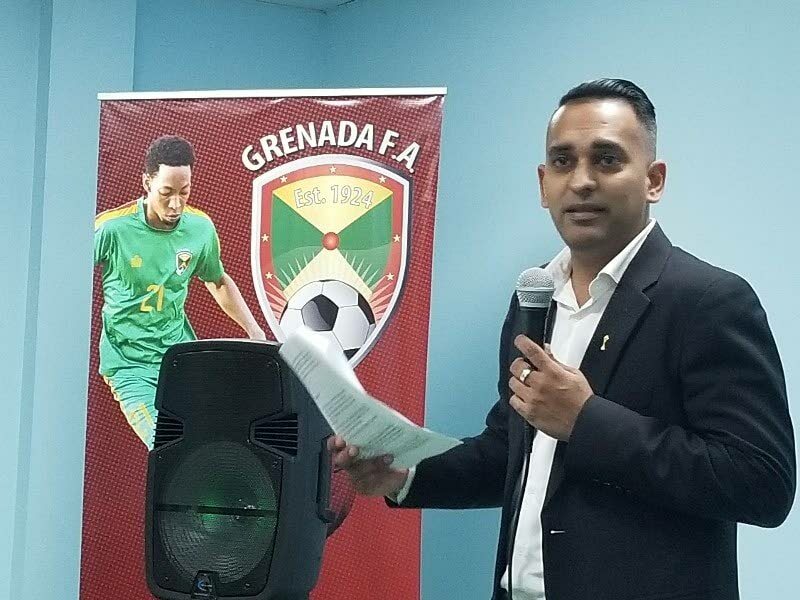 Reply to "TTFA official conducts media workshop for Grenada FA"